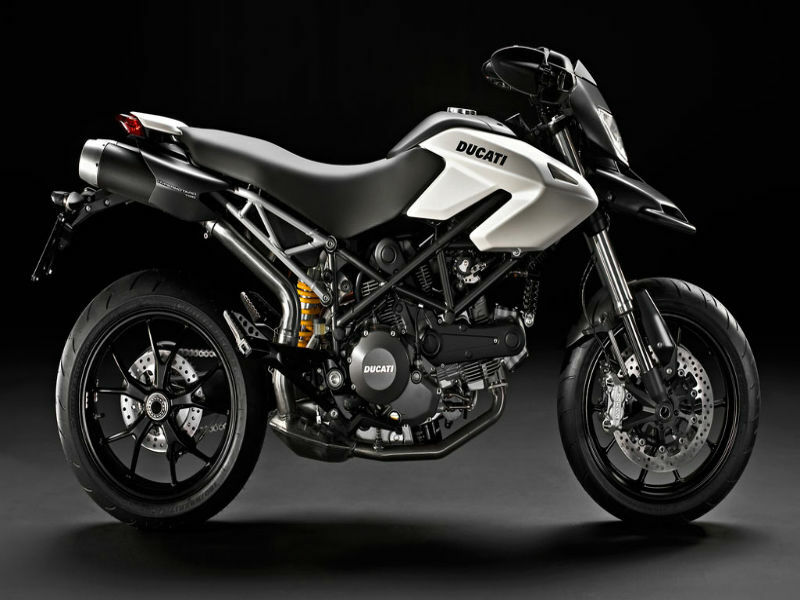 The elegant, stylish bike Ducati Hypermotard 796 is much appreciated by the Indian costumers because of its low price and light weight which helps to bend the bike easily thereby assuring great handling. Although the bike weighs less it doesn't make the rider get disappoint with the performance and speed and this is the biggest advantage of this sports bike. Along with its fancy looks and advanced technology the comfort provided by it is also superb. 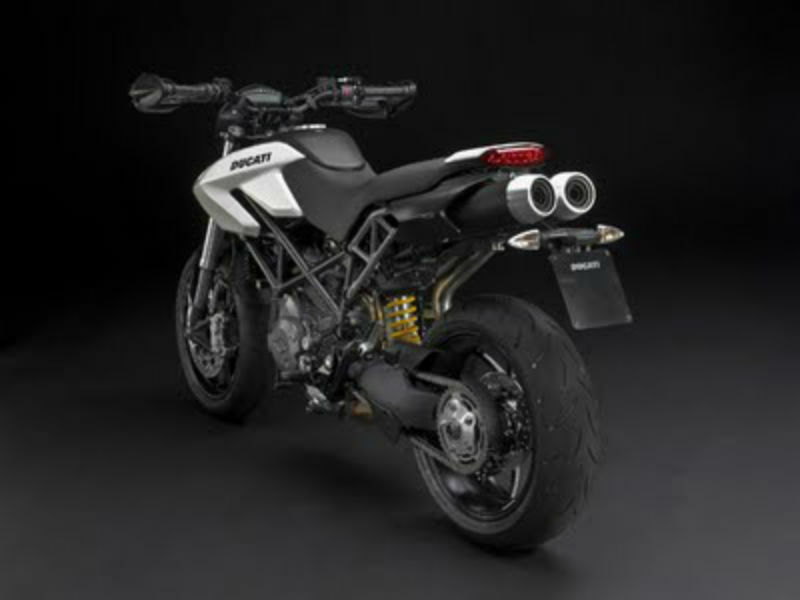 The engine used in Ducati Hypermotard 796 is an all new technology with light weight Desmodromic power component to give smooth riding experience. This L twin cylinder engine provides the impressive power of about 59.6 kW at 8000rpm and the peak torque achieved is 77.5 Nm at 6250rpm. To maintain the proper power delivery and to assure the easy maintenance the engine uses the oil cooler. The bike is known for its aggressive naked looks and light weight body with attractive graphics. Although this superbike doesn't have most of the accessories which other Ducati vehicles have it still looks stylish and macho in its own terms. The sleek aerodynamically designed body with elegant and irresistible looks surely serves as the head turner. The extraordinarily designed instrument panel, charismatic headlamp structure and revolutionary 5 spoke wheels acts as the major attraction of the vehicle. Along with the looks the vehicle comes stuffed with all the latest technology for better driving. As the bike is packed with advanced suspension and braking system handling the vehicle becomes much easier. This off -road adventurous bike can be controlled even at higher speed with its front and rear disc brakes. Further even the tough road seems to be smooth for the rider and this is made possible with its front Marzocchi 43mm usd forks and rear semi floating discs. Adding to it the larger wheelbase and big tyre sizes promise greater stability and control even on deadliest roads. It is said that Ducati Hypermotard 796 offers a good mileage but the exact figures for it is not available. 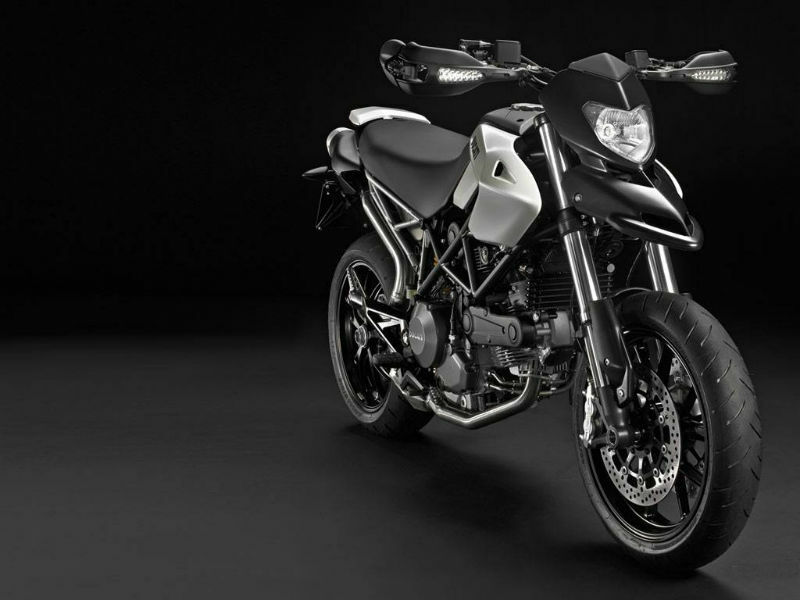 The trendy, classic vehicle Ducati Hypermotard 796 is available in three different shades namely Matt White, Red and Matt Black. The ex-showroom price of this bike is about Rs. 10, 93,000.